Tired of working in the corporate world? Then, why not work for that drink that you love so much? That is essentially what Mr. Timothy Sullivan did. 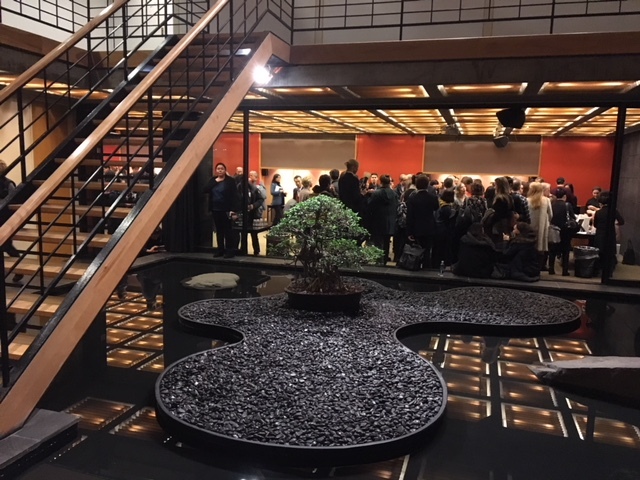 Sullivan, who was given the honor of the title, “Sake Samurai” in Kyoto, Japan in 2007, fell in love with something Japanese in 2005 – in New York City. And it was not anime. It was sake. The sake that he tasted with his delicious sushi that night was a premium Junmai Ginjo by Hakkaisan. He wanted to find out more about sake but realized that there wasn’t enough information out there. So he began his own blog, urbansake.com, that same year. Mr. Sullivan found his calling. 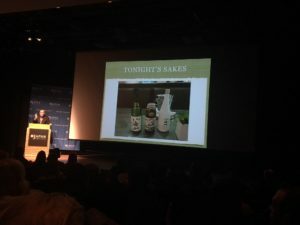 He first started teaching at the Sake School of America while working in the corporate world, and eventually transitioned to a full-time career in the sake industry. 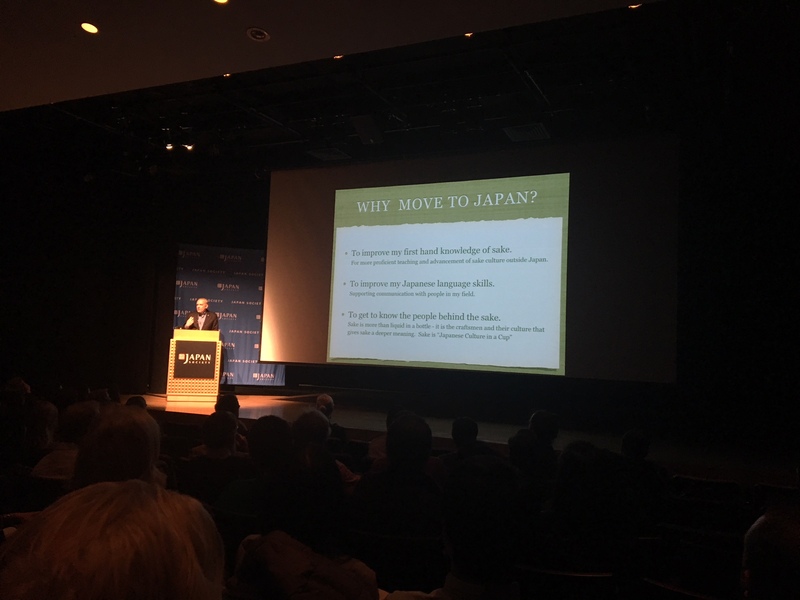 As he had more opportunities to travel to Japan to promote Hakkaisan products, he decided to move to Japan and live there for a year. He not only wanted to improve his sake knowledge and his Japanese language skills, but also wanted to “get to know the people behind the sake.” So he received a special Japanese visa, which was specifically for cultural activities usually reserved for foreign artists and athletes, and went on a journey to work at the Hakkaisan sake brewery in Niigata, Japan. 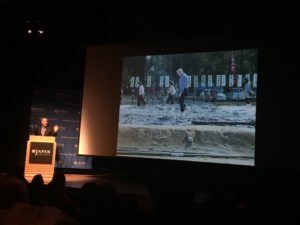 As he spoke joyfully, comically and nostalgically about his various cultural experiences in Niigata – including how he walked barefoot over soil that was just dramatically lit on fire at the Hakkaisan Shrine Hinata Festival (to wish for “one year of good health”), he also showed many pictures of himself covered from head to toe, working at the brewery. At Hakkaisan, the workers took each step of the sake making process very seriously. Although they also use machines, they believe that many things can only be done well by hand. While camping out a year at a sakagura in Japan may seem like a loafer’s paradise, it was anything but a holiday. For Mr. Sullivan, it meant serious work: from polishing and milling the rice to meticulously washing each rice bag with his hands. He explained every step in detail. For example, rice becomes very fragile when they are milled, and if they are cooled right away after milling, rice will crack in half. During the cold winters in Niigata, when trees have a special guard on them to hold the snow up, the majority of the sake making process takes place. He also spoke about the Koshiki Taoshi, which is a formal dinner that happens among the workers to celebrate the day they stop steaming rice. For them, it was unique occasion to shed their work suits in favor of jackets and ties. Needless to say, Mr. Sullivan had an unforgettable experience. The chef at the brewery’s staff cafeteria specially served Mr. Sullivan’s self-proclaimed favorite food, chicken pot pie, for his goodbye party. They even gave him a jar of umeboshi (pickled plums), another of his favorites, along with one of the shovels he had to use, albeit unsuccessfully, to place the rice in each bag. 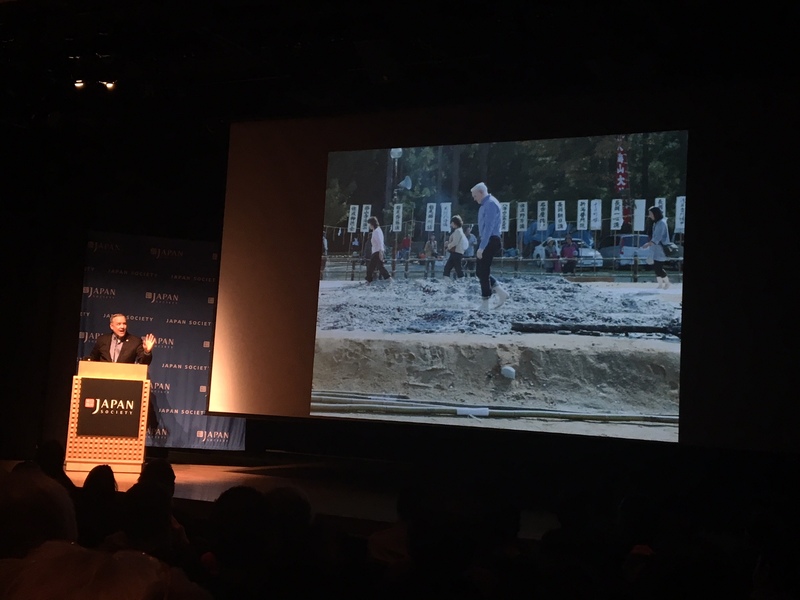 Despite the weather and walking over hot coals, he never got sick even once in Japan. And while his Japanese still could use some polishing, he learned so much more about the craft of sake brewing. In the United States, sake, along with ramen shops, has taken off, becoming one of Japan’s biggest export destinations. In New York, there are several sake bars frequented by connoisseurs and hipsters alike. In Japan, it is another story. Still considered a “parents’ drink”, there are no “hip” sake bars and is almost always served with food. Beer is the most popular drink in Japan. He gave some interesting tips on enjoying sake. Interestingly, it is easy to pair with food because of its ‘umami’ (savory notes) and the fact that it has 1/3 of the acidity of wine. Temperature matters when you age sake (e.g. Room temperature will cause the sake to darken its color.) Sake lasts around 2-3 weeks after the bottle is open, as long as it is kept in the refrigerator. The more earthy, robust sakes have a longer taste life. 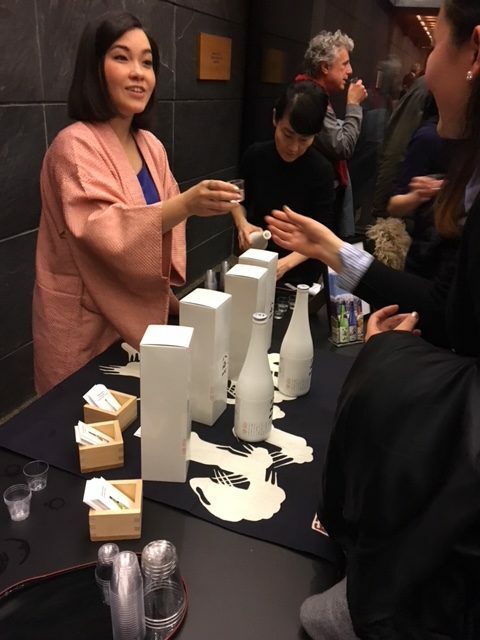 Our post-talk reception included three Hakkaisan sakes: the Junmai Ginjo (the “sake that changed [Mr. Sullivan’s] life.”), the Honjozo (best selling Hakkaisan sake) and a special 3-year Snow Aged Junmai Ginjo. The latter is stored in a “Yuki Muro” (i.e. snow storage seller) with 1000 tons of snow in it, for 3 years. I am no “sake samurai,” but appreciate the taste. Personal favorites included the Junmai Ginjo and the intriguing Snow Aged. 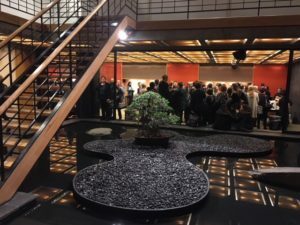 For many of us in the audience, it was a rare opportunity to learn about the inner workings of a brewery and the passion and devotion that the people in the industry give to making sake.